I LOVE Target's dollar section...seriously I would marry it if I could. Thank you Target for your abundant supply of seasonally specific dollar items. You rock my mommy world. 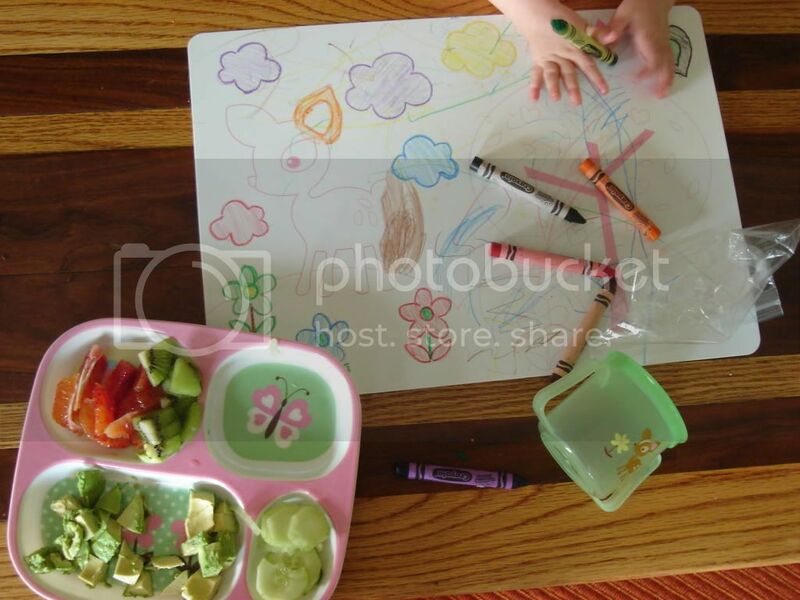 Color fun place mat that wipes off for everlasting color fun...$1, no spill snack cups with cute little happy deer that Scarlett refuses to stick her hand into no matter how much the gold fish inside are screaming her name...$1, compartmentalized food trays that make me the happiest mommy on the block because if you know me you know that I love to compartmentalize my food (yes, this means TV dinners, airplane food, prepackaged cottage cheese and peaches...I just can't help myself)...$1. Shopping in Target's dollar section and scoring big time...priceless.